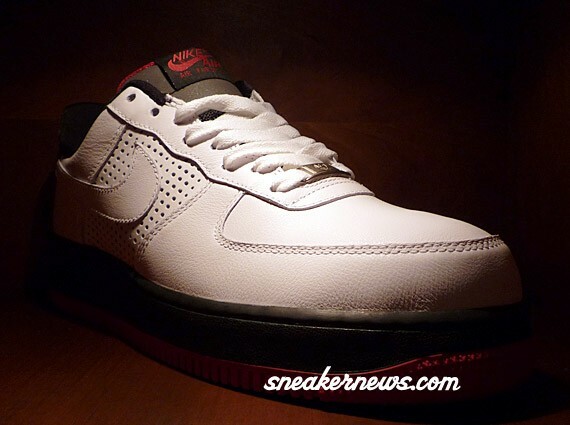 The latest from the Air Jordan Force V family are just starting to hit stores. 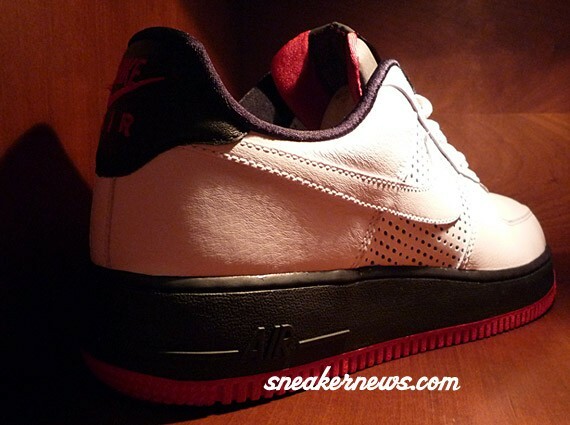 This Air Force 1 Low takes direct inspiration from the Air Jordan V in White, Black and Fire Red, which also inspired a AJF 5 in similar colors. 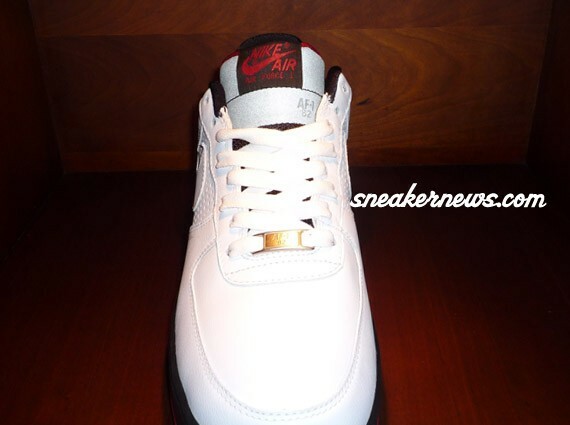 So far three colorways in this style has dropped, with this being the best of the three, mostly due to the direct AJ 5 inspiration. 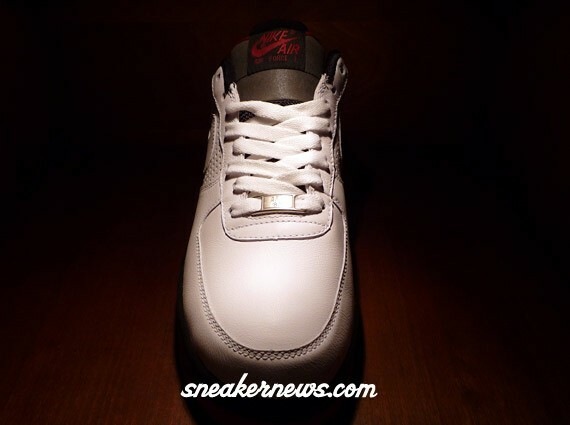 The upper is a clean white with variable-perforated side panels to represent the mesh of the AJ 5, the tongue gets a layer of 3M also from the AJ 5, and the sole also takes after the classic Jordan in black and varsity red. 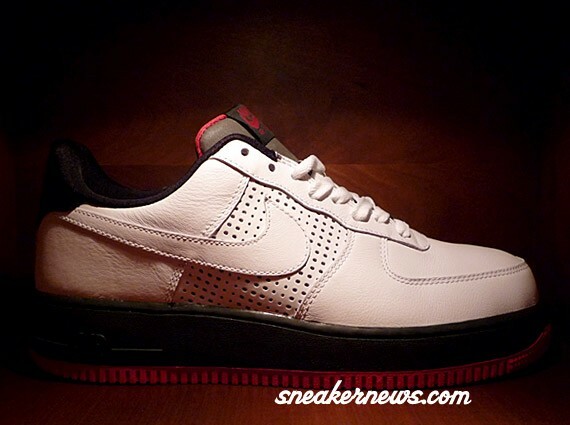 You can find these now are finer Air Force 1 retailers including the Rivington Club. 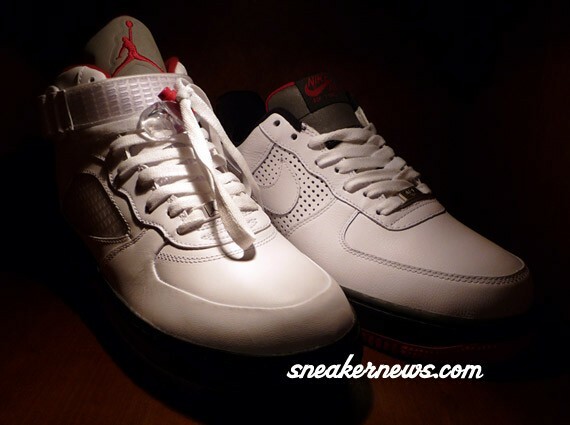 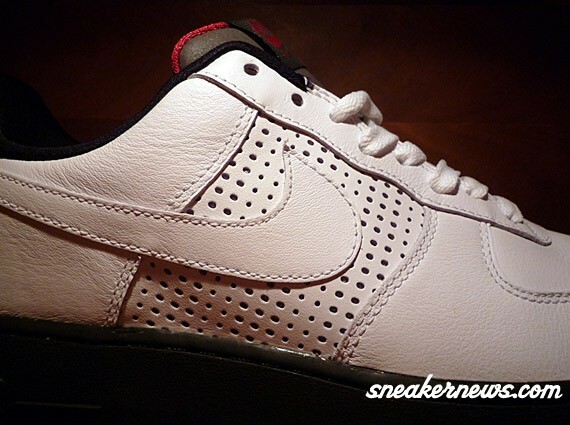 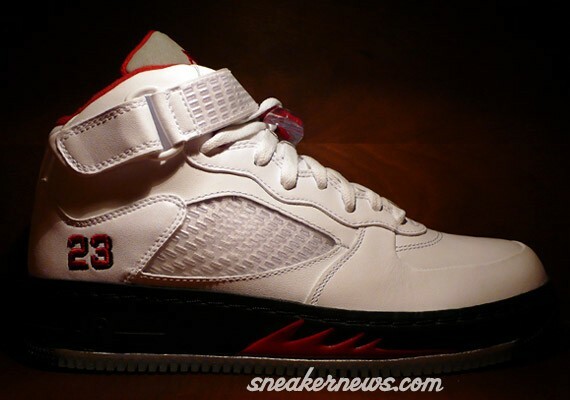 They will be available online only at Nike Member’s Only Store June 21st, 2008.